Uber Eats Review: Is It Better or Worse Than Uber or Lyft? Who doesn’t want to make some extra money? If you’re like most people, you probably can’t walk into your boss’ office and demand a raise (we don’t recommend you try it), but thanks to the Internet, there are dozens of ways you can make more money. 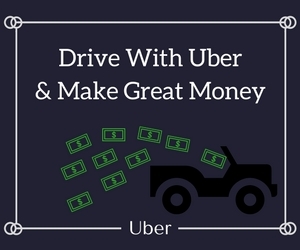 If you’re looking for a quick way to make some extra dough, you probably have come across Uber. You might not be crazy about letting another person ride in your car with you. If you don’t want to shuttle people around town, then Uber Eats might be a better option. As you can probably guess from the name, instead of driving people, you’ll be driving around food. Uber Eats is a new food delivery system that has hit the market in dozens of sitting across the nation. This post is going to look at the delivery system and give you the information you need to decide if it’s the best way to put some more cash in your pocket. The idea behind Uber Eats is simple. Users can download the app, then take a look at the available restaurants. The user orders their food, then the Uber Eats driver picks up the food and delivers it. Users are going to pay a fee of $4.99 per delivery. Uber Eats is available in all of the major cities in the United States. Ordering from Uber Eats is quick and easy. All you have to do is download the app, pick your restaurant and then place your order. You make your payment through the app. The Uber Eats app is easy to use. They make it very simple to order food or to make deliveries. Regardless of which side of the transaction that you’re on, it’s easy to do. If you want to be a driver for Uber Eats, the requirements are simple. The first one is you have to be at least 19 years old (or 21 if you live in Canada). If you’re 19 years old and have one year of driving experience, then you check off one of the qualifications. To deliver food, the vehicle requirements are not as strict as traditional Uber. Your car has to be 1996 or newer. There are a few cities who have different requirements, but for the most part, the vehicle requirements are the same as UberX. Additionally, you also have to have a driver’s license (obviously), car insurance, and proof of vehicle registration. Uber will confirm all of this information before they will accept your application for driving. If you’ve already been approved as an UberX driver, then you can automatically be allowed to drive for Eats. If you’re already an Uber driver, then you can decide to deliver food as well, but you can choose to only deliver food and not people. If you’ve already signed up for Uber, and you want to join the Uber Eats program, you can do that through the website. You can opt into the Eats program in a matter of minutes. After that, you’ll get alerts from the app to delivers and instructions. If you know anything about Uber, Uber Eats operates much the same way. If you are accepting delivery requests, then you’ll get a request on the app. At that point, you have 10 seconds to accept the request. When you accept it, you can then see the customer’s location. Then you will receive a text message with the details of the order and any special instructions. There are two kinds of delivers you may have to do. There are a curbside and a walk-in drop off. As you can guess from the name, a curbside delivery doesn’t require you get out of the car. The user will get a text message when you arrive, and then they come out to your car, you hand them their food, and that’s it. The other option is the walk-in drop off. This requires you get out of the car and then walk to their door. If you don’t know exactly where to meet them based on the pin, then you can send them a text and ask for any clarifications. If you show up at the location, and the customer doesn’t come to get their food within five minutes, then you can cancel their order, and you’ll receive a $5 fee for the cancelation. You can wait as long as you feel necessary, but that’s cutting into the time you have to make more deliveries. Unlike the pizza delivery guy, you don’t have to worry about handling the cash. Uber is going to take 25% of each order, or 20% in some cities. Not only will you make money for each drop-off fee, but you can also make money from tips (which you’ll keep 100%). The users can tip their delivery person through the app, or they can give you cash tips. Just like with pizza delivery, it’s expected they will tip, but they aren’t guaranteed. How Much Do Uber Eats Drivers Make, On Average? It’s a very difficult question to answer. There are dozens of factors are going to impact how much you can make as a driver. For most people, they will make around $8 – $12 an hour. The city you live in is going to play an important role in how much you make. Some cities are more popular than others for Uber Eats drivers, and drivers are going to make more money. Another factor that’s going to determine how much you make is when you accept delivery. If you’re available to deliver food during lunch, then you’re going to make more money than if you only deliver for dinner or after. If you have the ability, delivering during the lunch rush hour is going to make you the most money. The biggest factor that’s going to impact on how much you make is tips. There is no way to project how much you’ll make in tips, but the better service you provide, the more you should make in tips. There are dozens and dozens of ways you can make some side money. Thanks to the Internet, making more income has never been easier. Some ways are better than others. It’s important you find the best ride-sharing service worth the time and effort. There are several benefits to working with Uber Eats. The obvious one is you can work on your schedule. There is no set schedule. You can deliver food whenever you want to in your spare time. If you have plans on Friday night, don’t worry about having to work. If you want flexibility in your work schedule, working with Uber Eats is an excellent way to do that. Another benefit of working with Uber Eats is they have fewer restrictions compared to traditional UberX or some of the other ridesharing programs. You can start making delivers at the age of 19, compared to 21 for UberX. If you’re a college kid that’s looking to make money between classes, Uber Eats is an excellent way of doing that. If you’re going to be eating pizza, you might as well make money delivering them, right?. On the other hand, there are a couple of drawbacks to working with Uber Eats as well. It’s important you understand the disadvantages before joining. One of those is the pay can be minimal. Just like with any other ridesharing program, depending on the length of the deliveries, how many delivery requests you receive, and the tips, you could find yourself making less than $10 an hour. A common complaint drivers have is finding where to deliver the food to. Some customers can have confusing instructions or no clear place to park or drop off the food, which can take extra time and translates into less money per an hour. Obviously, the experiences are going to differ from driver to driver. You may not have any problems with instructions. Rideshare services are the new wave of transportation and side-jobs. There are several different ridesharing services you can join. All of them are different in how they operate and the services they provide. Uber is one of the largest. Let’s be honest, you aren’t going to make a fortune delivering food. You can expect to make around $12, which isn’t bad for a job you can get within an hour. If you don’t want driving around, sitting in traffic, and carrying around food, then Uber Eats can be a great choice.